With over 200 stalls in summer, this market which combines tradition, regional products and modernity or even innovation, is a must. 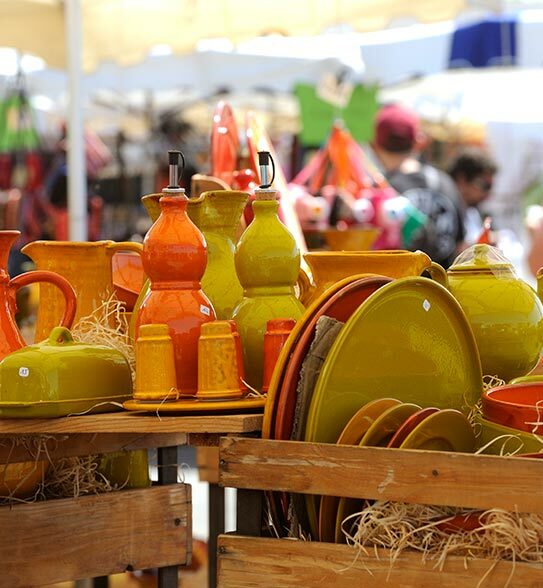 From Médoc oysters and wine to Tunisian « foutas », from original jewellery to books, « Monta » market never fails to impress. As the French singer Bécaud once sang, there is a nice smell of herbs here but also of summer holidays.